The shareholder meeting is scheduled for Tuesday January 15th 2008. Shareholders have signalled their intentions of opposing plans to find a private owner at a price unfavourable to themselves. They intend to seek motions to prevent the board acting against the interests of shareholders. These moves are understandable in view of the Treasury’s position, which seems to be committed to recouping as much as possible of the billions ‘invested’ in rescuing the back since the crisis days since September 2007. The Treasury counter-gambit, if successful, is good for tax-payers, and also protects Darling and chums from accusations of incompetence and worse by that sharp-tongued Mr Osborne. The Chancellor, while preferring the sale into private ownership to go ahead has to demonstrate that the Treasury is perfectly willing to accept the nationalisation option. So it came about, that on the Saturday preceding the meeting, the news became public that the Treasury had a well-worked out plan for nationalisation. Why? Darling has to demonstrate a convincing threat to the shareholders, the group he has identified the biggest threat to his own position, at the battle of Northern Rock. Threats are effective only if they are taking seriously, and not taken as evidence of bluster and weakness. We have written of how the most potent threats are like unsung melodies, shaping events but remaining in the background. So Mr Darling does not want to nationalize Northern Rock. Neither do the shareholders. But if The Chancellor can convince enough shareholders that he might be forced into a nationalization by their further opposition, it may help avoid the outcome none of the main players really wants. The threat involves several elements. A signal of intent. Evidence that it is not a shallow move or an idle threat. The signal deliberately leaked is necessary to convey the seriousness. It can be backed up in chess terms (and in military and political terms) if it can be shown that recent moves by Darling have been played to strengthen the impact of the threat if activated. Once again, the intrepid financial journalist Robert Peston continues his high profile scoops. So Mr Peston gets his story for the BBC. Mr Darling gets his signal accurately and prominently reported. According to bankers close to the Rock, the Treasury has a fully developed plan to own and manage the bank, should a commercial solution be impossible. The BBC has learned that Mr Sandler would become executive chairman of Northern Rock in the event that the troubled bank is fully nationalised. The former boss of Lloyd’s of London is well known to Prime Minister Gordon Brown, and worked for the Treasury in developing the so-called stakeholder pension and investment products that were intended to help those on lower incomes save for retirement. The coming week will be a crucial one for Northern Rock. On Tuesday, shareholders will attempt to restrict the ability of the company’s board to sell assets without seeking their permission. The shareholders’ action is regarded by the Treasury as potentially hostile to the interests of taxpayers. Taxpayers are exposed to the Rock to the tune of £55bn through direct loans made by the Bank of England and guarantees to other lenders made by the Treasury. A decision will also be taken imminently by the Treasury on whether to pursue a proposal by the investment bank Goldman Sachs to convert up to £15bn of the taxpayer loan into bonds, for sale to international investors. If that proposal to raise new finance for the Rock flops, it is likely to undermine attempts to organize a commercial rescue of the Rock by either a consortium led by Virgin or by the Olivant Group. 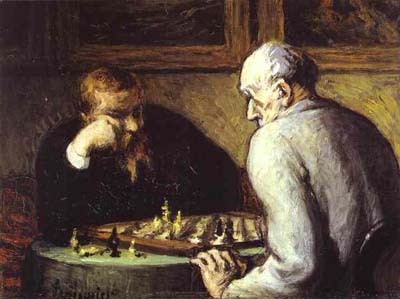 The chess game is reaching a critical position, rich in possibilities. To press too hard risks losing the entire game. Darling has shown he is willing to accept a gambit, and now offers a counter-gambit himself, using the Bank of England to capture Northern Rock for the nation. Making such a move may be risky to the Treasury, but it is even more damaging than other possible outcomes, for the shareholders. That is why I like the efforts made to demonstrate the seriousness of the threat to the shareholder forces. The announcement that Mr Sandler has been lined-up is excellent. Easy to check up on, little lost if nothing further happens. That’s what makes it quite a convincing move. You are currently browsing the archives for the George Osborne category.